Description An old time favorite variety for northern climates, that has been grown throughout New York, New England, Michigan and Pennsylvania for over 100 years. Northern Spy produces large, high quality fruit with excellent keeping quality. The tree is upright, very vigorous and winter hardy. 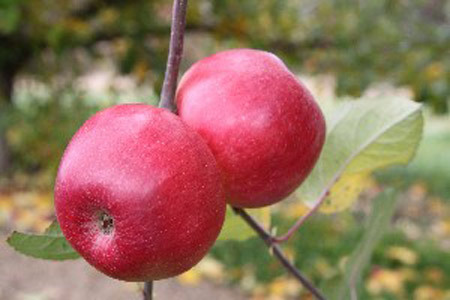 Northern Spy is slow to begin bearing and dwarfing rootstocks are recommended. Pollination Information Northern Spy blooms late in the season and will pollinate all other late-blooming varieties, it will also pollinate varieties blooming in the middle of the season.